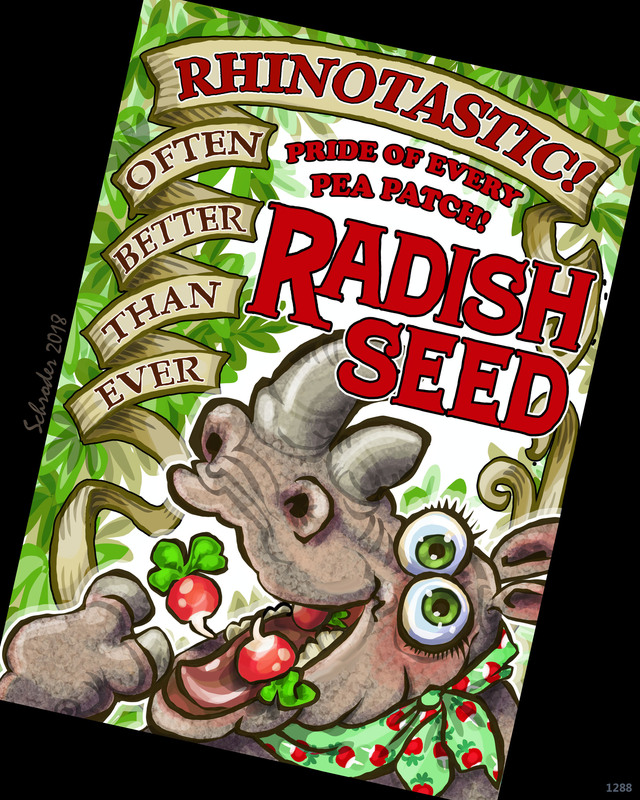 Well, it may not have actually come true, but We Rhinos are always campaigning for Radish Recognition. It seems to Us that We are Natural promoters for the Radish Industry. We adore them, so why not spread the good word? We would start our movement modestly, perhaps with seeds (as shown). Then move on to more aggressive sales techniques, once We figure out how. It will be a stiff learning curve, but We are (probably) equal to it.